P-Bandai’s finally opened up pre-orders for the Super Sentai Artisan SP License set, and of course, we now have production photos and release info to go along with that. Included in this set is both the standard SP License and the Fire Squad version. 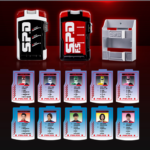 In addition to that, the set will also include changeable cards representing each of the Rangers and a clip-on holster. All of this will cost a hefty 17,712 yen for the set, but there will be an option to buy the two separately for 9,936 yen a piece. Either way, we’re looking at an October release window for the Super Sentai Artisan SP License. Full Gavan VS DekaRanger Teaser Trailer Online! A new full length trailer for the upcoming crossover special Space Sheriff Gavan VS Tokusou Sentai DekaRanger has been posted online! Gavan VS DekaRanger is currently scheduled for release on June 17, 2017! Space Sheriff Gavan VS Tokusou Sentai Dekaranger Teaser Trailer Online! The first teaser for the upcoming epic Super Sentai and Metal Hero crossover has finally been posted online! This movie will feature the return of Gavan Type G and the cast of Tokusou Sentai Dekaranger for an all-new adventure! Gavan VS DekaRanger will be released in theaters on June 17, 2017! Stay tuned to TokuNation as we keep you up to date on this exciting teamup! Announced back in August, we finally have some new images and info from the upcoming Space Squad team-up movie featuring Tokusou Sentai Dekaranger & Uchuu Keiji Gavan! The information revealed today is mostly things we either already knew or at least assumed. The venerable Kenji Ohba will of course be returning to the role he originated as Retsu Ichijouji/Gavan. This film also sees the return of Doggie Krueger/Dekamaster & Tetsu/Dekabreak. They previously returned with the the rest of the team in Dekaranger 10 Years After. It was assumed they’d be back again but it’s nice to see it confirmed. Perhaps the most surprising bit of info revealed by the official Space Squad twitter is the addition of a previously unannounced villain to the film. Mad Gallant! 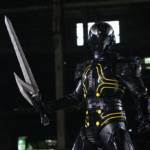 This classic villain from 1985’s Kyojuu Tokusou Juspion has been resurrected to menace to menace heroes one more time. Also returning to voice Mad Gallant is his original actor as well, Junichi Haruta! Much like Grifforzer, Geildon, Apollo Geist & other resurrected villains the new Mad Gallant features a design reminiscent of his original with a few new additions. Space Squad will be screened in theaters on June 17th and released on Blu-ray & DVD on August 9th 2017! With Tamashii Nations 2016 this upcoming weekend we hope to see many reveals, both expected and unexpected. Those reveals used to include Super Sentai figuarts but sadly that line has been shelved, for now. But it gives us pause to go back and on occasion reexamine some of our favorite releases as well. So today we’re featuring a brand new Gallery 2.0 Re-do with S.H. Figuarts Deka Red! Dekaranger has always been one of my personal favorite Sentai. So seeing the characters done in figuarts styling was like a dream come true. Sadly not a fully realized dream, but the releases we did get are still fantastic and that’s what encouraged me to finally do this reshoot of Deka Red. The Dekaranger body type has an impressive range that still holds up to new figures. But the accessory count here is perhaps the best thing about this figure. SP License, both Magnums, multiple hands, even the ludicrous power of the Akibrangers the Dekawoppa!? These were the glory days. We’ve attached a selection to this post but you can enjoy the complete 80 image Gallery 2.0 of S.H. Figuarts Deka Red after the jump by clicking “Discuss on the TokuNation Forums” at the bottom of this post. Two new Dekaranger movie projects have just been confirmed by Toei. 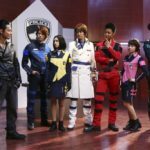 First off, we have SPD teaming up with the Space Sheriffs in Space Sheriff Gavan VS Dekaranger with actor Yuma Ishikgaki returning as Geki Jumonji/Gavan Type-G.
Secondly, we have Girls in Trouble Episode Zero which will feature an all female cast and will serve as a prequel for the big team up movie. Both movies are currently slated for release sometime in 2017. 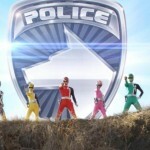 Great news for all our fans of Dekaranger as well as Power Rangers S.P.D. – a brand new behind the scenes making of video has been uploaded by Toei! Here we get to see our favorites from Tokusou Sentai Dekaranger as well as plenty of in-suit action. Check out the video below and then join in our on-going discussion of what is easily one of the most anticipated Super Sentai projects in years! What do you think? Sound off in discussion! DekaRanger 10 Years After Story Details & Guest Actors Revealed! Several new items relating to the DekaRanger- 10 Years After V-Cinema project have been revealed! The story begins when the DekaRangers’ boss, Doggie Kruger is accused of a serious crime. BanBan (the original DekaRed) is sent by the Fire Squad to investigate and in the process reunites the DekaRanger team. *Ryusei Nakao will be returning to play the DekaRanger’s old enemy, Agent Abrella. *Yuto Uemura, who had a minor role in two early DekaRanger episodes, will return as DekaYellow’s husband. *Takumi Tsutsui (best known as the Metal Hero Jiraya) will play a criminal pursued by Doggie Kruger. *Isao Sasaki– the singer who performed the original series’ ending theme Midnight DekaRanger will have a minor role. DekaRanger 10 Years After will be released on DVD & Blu-Ray on October 7th 2015! Feel free to join in our Ongoing Discussion Thread and share your thoughts on this upcoming special reunion! Dekaranger 10 Years After Update: New Characters & Familiar Faces! While it continues filming more information and phots are turning up from the upcoming Tokusou Sentai Dekaranger 10 Years After V-cinema! Today’s update brings us our first looks at most of the returning cast. Primarily we see Ban/Deka Red in his new Fire Squad uniform as well as what looks like a super SWAT upgrade to his Deka Red form! Tetsu/Deka Break also returns this time as a much higher ranking officer, possibly in charge of the Tokkyou unit. Houji/Deka Blue is back but far from the cool & collected man we knew, this new disheveled look indicates he’s been down on his luck these past 10 years. 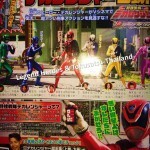 Jasmine/Deka Yellow & Doggy/Deka Master return as well apparently with no change. Meanwhile 2 new faces, Neo Deka Red (Assam Asimov) & Neo Deka Yellow (Mugi Grafton), have joined the team! The newcomers have costumes that come with a SWAT vest at default and a new sidearm. Stay tuned as we continue to bring you updates from this exciting new V-Cinema! Dekaranger 10 years After will be released on DVD & Blu-Ray on October 7th! Dekaranger 10 Years After Special Coming To DVD/Blu-Ray October 7th! A very interesting new listing has surfaced online! Titled Dekaranger- 10 Years After – this special will apparently feature a reunion of the 28th Super Sentai Series, Tokusou Sentai Dekaranger! UPDATE- Toei’s official YouTube channel has uploaded an announcement video featuring the six returning Dekarangers! This special is currently scheduled for release on October 7, 2015! Stay tuned to TokuNation for further details!